This past weekend I traveled with Lauren and Kate to hear Kate speak at the Becoming Conference. We were only gone for a little over 24 hours but the trip was filled with so much laughter and adventures to say the least. For starters, I forgot to bring my wallet on the trip. Who does that?! Luckily, Kate and Lauren loved me enough to keep me well feed over the trip. The funny thing was I really needed this weekend more than I realized. I really wish I could put on paper just how funny and sassy Lauren and Kate truly are. I think it was great for me to get out of town for a bit, refresh, laugh, take in the beautiful view, and come home and rest. 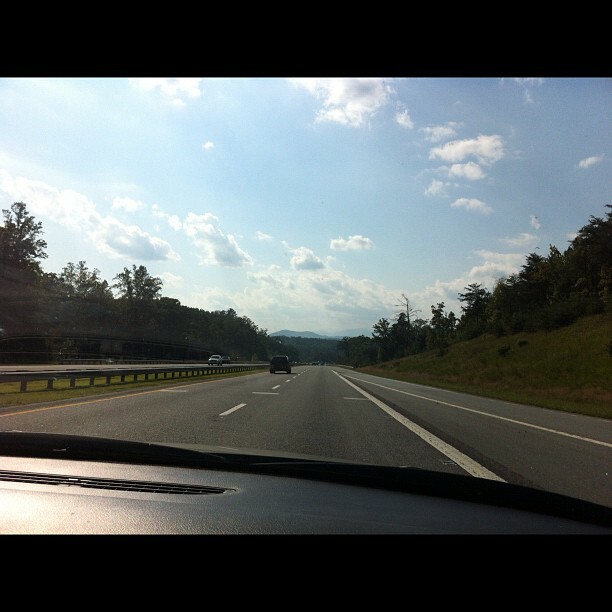 We drove down on Friday; which was an absolutely beautiful day. The sun was shining and the weather was so pretty for the start of fall. We made a pit-stop at Panera since its one of our favorite places to eat. 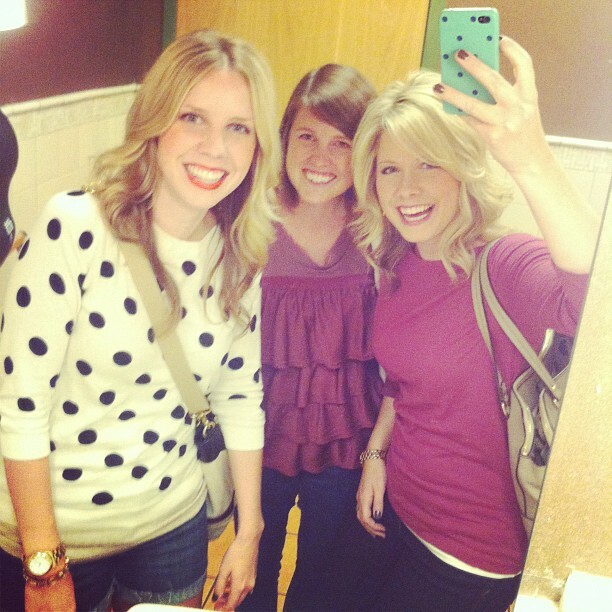 Kate insisted that we take a bathroom picture. 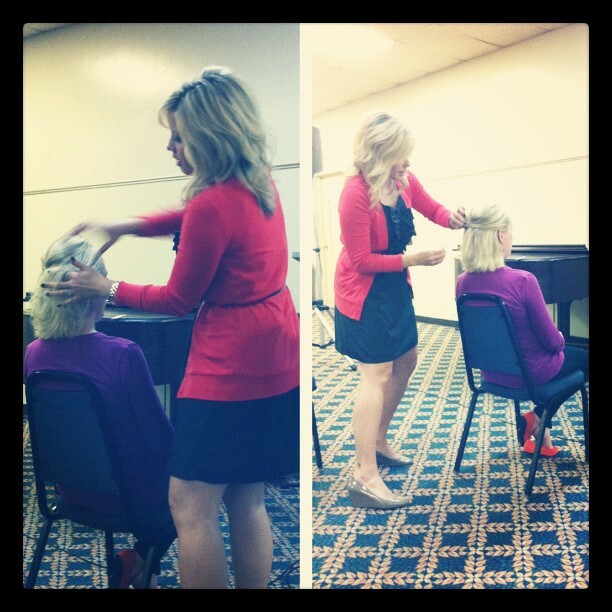 On Saturday, Kate did all four sessions sharing tips about hair, makeup, and clothing. She did a live hair tutorial on an audience member each time. It was so fun to watch her totally in her element! Loved this post :) Girl time is the best! This looks like so much fun!! I love being with just my ladies. Looks like y'all had so much fun! I love your ruffle top! awesome!! :) it looks like you ladies had a blast! This looks like so much fun! I'm sure the audience member felt pretty lucky! I really hope to attend a conference like that sometime soon. Come on, Chicago area!! !